I'm completely drawn to scenic print pieces like this one from H&M. Even better though (IMHO) is the galaxy in print! After seeing this dress on a blog post (darn, can't remember which one), I knew I had to get me in on that action or at least attempt to. The print on the Zara dress continues on the back and it has attached ties to adjust to your size. Luckily, my local Zara hadn't even put these out yet when I asked for it or I probably would have been too late. i never see anything i like in zara because they are all taken! ugh. Hello! This is my first time visiting your blog and I must say you are doing a wonderful job! 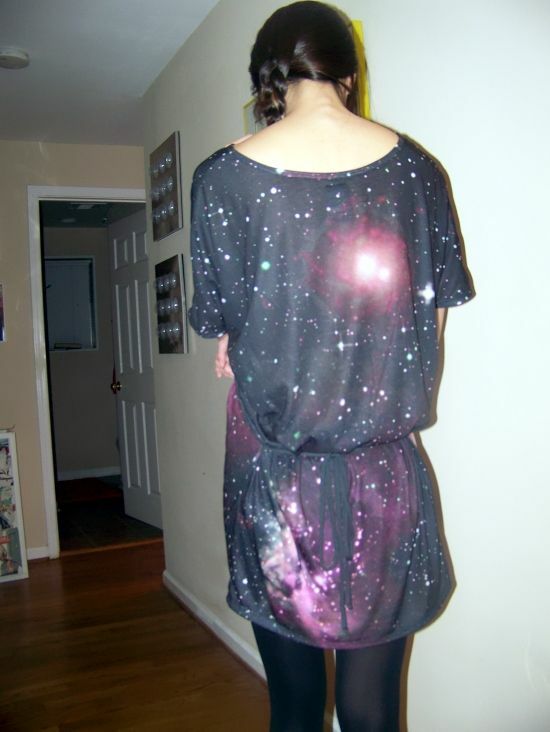 I love the galaxy dress and the way you paired it with the jacket and booties. If you have the chance, please visit my blog at www.ivoryglam.com THANKS! wow that prints pretty ! ahhh, I'm so jealous - I want this but never see it in store! 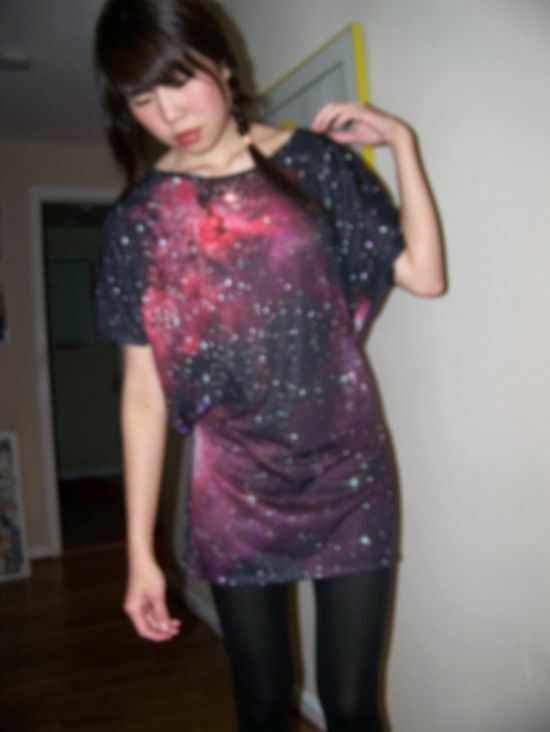 I love the galaxy dress. I'll have to check the Zara in Prague to see if they have it. Love your outfit collections. Keep it up! Thanks everyone! I haven't been back to Zara since because it sits in a megamall and that's the last thing I want to go to during sale season. ;} Hopefully, Zara or some other stores will put out some more print dresses. They are super comfy and definitely stand out.